AFS™ Sales Agency Management is the operating system that Hatch Chile relies on every day. 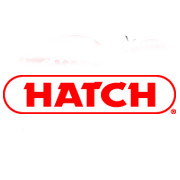 The Hatch Chile Store provides authentic New Mexico chile products, fresh and flame roasted Hatch Green Chile, and red and green chile powders. I use Sales Agency Management to help me manage order entry processing and invoicing as well as inventory purchasing entry and receiving. I have found these areas to be exceptionally user-friendly and the operations set up by the system have worked very well for us with our almost 200 customers for over five years. I can also maintain our customer’s bill to, ship to, pricing, and promotions information efficiently and reliably using Sales Agency Management. I’m happy to say, it is a simple task to change their profiles and keep their information current. Another significant benefit of using the Sales Agency Management system is the availability of its technical support team…they are always courteous and professional while being well-trained and extremely prompt in answering any inquiries sent their way. I feel Sales Agency Management does a great job of meeting the needs of our growing company.